CHAMPAIGN — Payrolls of major employers are rebounding. Retail sales are growing. The local housing market is stabilizing. And farmers are anticipating another year of strong commodity prices. Those factors, plus anecdotal evidence, make Busey Bank Vice Chairman Ed Scharlau think the local economy is getting stronger. Retail sales in Champaign County were up 2.3 percent in 2011 from the previous year, and sales for the first two months of this year were running 3.1 percent ahead of the same time last year, he said. Automotive and gas station sales were particularly strong in 2011, up 6.7 percent from the previous year. The University of Illinois payroll on the Urbana-Champaign campus is projected to be $897 million this year, up sharply from $851 million in 2011, when employees had to take furlough days. If the projection is right, this year’s payroll will top the $894 million paid out in 2010, he said. Enrollment at the local campus is also expected to be up, with an estimated 42,700 students next fall, up from 42,606 last fall, Scharlau said. The payrolls of seven major health care employers are also expected to rise this year after last year’s lull. Scharlau said those employers — which include hospitals, physician groups and health insurers — are estimated to have a $511 million payroll this year, up from $486 million in 2011. Home sales are also off to a strong start this year, with March sales up 19 percent from a year earlier, he said. In terms of new construction, Mahomet and Savoy have seen the biggest upticks, with housing starts in each community up more than 60 percent from last year. Champaign and Urbana, meanwhile, have had about the same number of housing starts as last year, he said. The number of new starts in Champaign, Urbana and Savoy in 2011 paled in comparison with other recent years. Only 169 homes were started last year, compared with 225 in 2010, 302 in 2009 and 353 in 2008, Scharlau said. 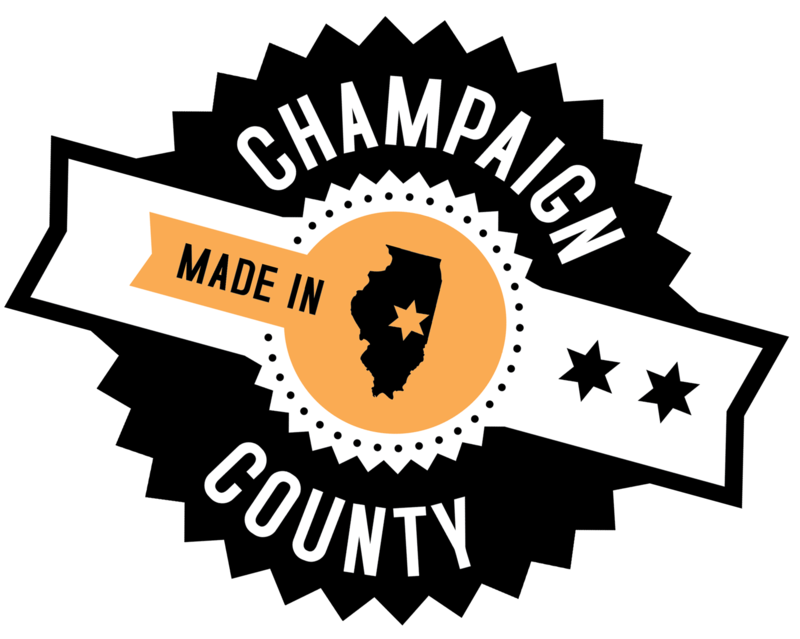 Also of note: The total value of residential, commercial and industrial property in Champaign County dropped in 2011 for the first time in recent history — $11.3 billion, down from $11.5 billion in 2010. Scharlau said he expects the value to pick up again this year. Turning to farming, Scharlau said the county’s agricultural output totaled $504 million last year, up from $373 million in 2010. Part of the jump comes from the average price of corn rising from $3.85 a bushel in 2010 to $6.13 a bushel in 2011. Scharlau said Busey Ag Services predicts moderation in corn prices this year, with an average price of $6 a bushel. Agricultural output for the county is expected to drop a bit to $464 million. While enjoying higher prices for crops, farmers are seeing increased costs, Scharlau said. Fertilizer prices are up 25 percent to 30 percent from last year. Land prices are up too. The price of farmland rose about 20 percent in 2011, according to the Illinois Society of Professional Farm Managers and Rural Appraisers. Scharlau said two recent sales of “excellent” farmland — one in the Pesotum area, the other near Sadorus — fetched prices of $11,750 and $12,000 an acre, respectively, this year. The banker also touched on employment, noting that even though Champaign County’s unemployment rate has dropped from 7.9 percent to 7.5 percent over the past year, the number of employed people has fallen — from 93,694 to 91,826. Scharlau said Champaign County’s population grew from 179,669 to 201,081 between 2000 and 2010 — a jump of 21,412. Much of the focus of today’s economic seminar, titled “Champaign County — Great by Choice,” was to be the UI Research Park and its impact over the past decade. The park, which has 90 companies with 1,400 employees, received the Outstanding Research Park Award from the Association of University Research Parks last November, Scharlau said.